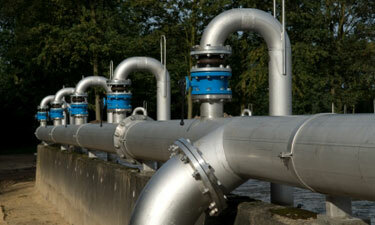 Waste water treatment facilities are a vital part of the power plant system. Wastewater like sewage‚ effluent‚ drainage and seepage is collected by using waste water pumps. When selecting pumps for this application it is important to consider the viscosity‚ speed required and fluid properties. These variables will influence not only the type of pump that is supplied but the materials that they are manufactured. CIRCOR has supported waste water treatment applications for once-through cooling water‚ cooling tower blowdown‚ flue gas desulphurization‚ coal pile runoff‚ metal cleaning wastewater‚ boiler blowdown‚ water treatment systems and miscellaneous floor drain wastes. Progressive cavity pumps are frequently selected for their ability to handle a broad range of liquid properties and operational performance; however‚ centrifugal pumps are also used in select applications.